According to the Population Reference Bureau, the number of Americans age 65 and older is projected to more than double by 2060 — from 46 million to more than 98 million. And with an increasingly aging population comes the need to modify homes to suit that demographic. A recent study also shows that more young adults than ever are living with their parents. In fact, 40 percent of young adults lived with their parents, stepparents, grandparents, and relatives in 2015, the highest number in 75 years. These younger adults should keep in mind that they may need to modify their homes to accommodate the needs of their older relatives. 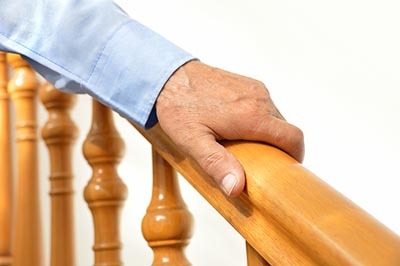 The following is a list of some recommended adjustments that can create a safer and more enjoyable home for older adults. Grab Bars for Toilets and Tubs: According to Consumer Affairs, the best place to install grab bars is where the older adult naturally enters and exits the shower. Walk-In Tub: A walk-in tub requires a person to be mobile enough to step in but reduces the amount of bending and stepping over a tub ledge. However, keep in mind that it’s not possible to prepare the bathtub full of hot water prior to entering and that the water must be drained before exiting. Doorway Size: Many older homes may not have been built with accessibility in mind, but “fortunately many of the newer homes are being built ‘open concept,'” says Adaptive Access. “What makes a home handicap and wheelchair accessible? It’s the ability to enter the home and move around without any of the obstacles such as steps and narrow doors.” To accommodate wheelchairs, doors need to be at least 32 inches wide (with a straight in approach); if the doors are in a hallway, there must be turning space and a 36-inch door. Counter Height: Consider lowering the counter height from the standard 36 inches to about 30 inches, making it easier to access from a seated position. Add a roll-under sink for wheelchair users. Visit Age in Place to read more about accessible kitchen adjustments. Adequate Lighting: Make sure that all areas of the home are well lit to avoid trip hazards. “In general, older adults require two to three times more light than younger persons due to normal changes in visual function that accompany the aging process,” states ElderIssues. Nonslip Traction Tape on Uncarpeted Steps: SFGate offers a quick “How to Apply Anti-Slip Tape to Stairs” guide. Secure Rugs and Floor Runners: Make sure that those loose edges don’t create a tripping hazard. According to Boomers-with-Elderly-Parents.com, rugs are a primary cause of falls for older adults. Visit its website for advice on what to check for in your home to help prevent falls — for example, loose rugs and too much furniture — and how to make modifications. Create Walking Paths: Make it easier to navigate the home by paring down furniture and creating good-sized paths through rooms. Adjust Water Temperature: Older adults run a higher risk of being scalded “because they can be less sensitive to temperature, so may be slower to move away from the scalding water,” says NPR. Adjust your water heater so that the temperature at the faucet is no more than 120 degrees Fahrenheit (48.9 degrees Celsius) when on the hottest setting. Comfort Keepers offers a more extensive list of recommended modification in its Adapting Homes to Seniors’ Changing Needs article. And Senior Citizen’s Guide offers a list of questions to ask yourself to make sure you’ve considered all of the areas of the home. In our next installment of this series, we will cover adjustments you can make to your home to better suit your four-legged family members. Next PostNext Bay Area Home Sellers Net Biggest First-Quarter Gains in the U.S.